’Twas not for blind submission I was born. For what we have is all we have to lose. As what by our own efforts we make clear. To quest for health, and death’s own antidote. It wasn’t the gods that set up the FDA, Josh. Stick to getting out the word on programmed aging, don’t spend your time picking on Minerva or Vishnu. And a poet too! Well done Josh. I enjoy your posts and as I turn 70 in a few days and my hunger for some rejuvenation grows stronger, it’s good to be reminded that art and science are a good fit. The above comment asked you to stick with one thing, but would Einstein have come up with his theories if he had not played the violin? We don’t want the limitations of aging, nor should we want any limitations placed on our minds. Keep up the good work. Well crafted! Every once in a while something will jolt me into that dark reality. One day we won’t be here anymore. I can’t accept the notion of an afterlife. In conversation I tell people that I wish I did. This goes right to the heart of your poem. Nicely done. I’ve enjoyed reading all your posts, and this one is a bonus. 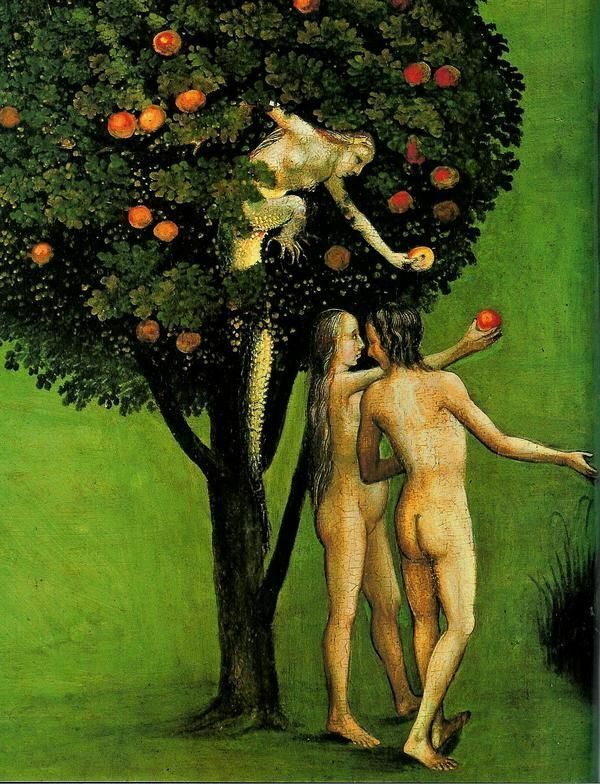 If Adam and Eve had not chosen to eat of the fruit for the knowledge of good and evil, the world would be a very different place. For one thing, the amount of good and evil would still happen but they would be unrecognizable, except by God and he would not have felt the need to cause the flood to destroy most of mankind. There would then have been no justification for it. Hence no pairs of non-clean animals and sets of 7 clean ones, no ark, no rainbow, no drunken Noah being humiliated by Ham, nothing. It would have very boring! And the serpent would still have its legs! Beautiful poem Josh -the seeker-! It leads me to make a fruit digression. The word “Granada” in Hebrew “Rimon” is said. That term then derived to Latin with the word “pronum” which means “apple”. The Islamic culture indicates that the light of Allah is in the hearts of those who eat pomegranates. About medicinal properties, it is a source of Punicic-Omega 5 acid (Punicic acid: A striking health substance to combat metabolic syndromes in humans, May 2017, https://lipidworld.biomedcentral.com/articles/10.1186/s12944-017- 0489-3). My warm greetings for the prose. Science and creativity definitely go hand in hand, IMO. Your sentiments were well expressed. Can you not thus yet hold dear this, in kind inspired, Apocalypse? And thus not already rebelled against Thor? For have you not, already, reveled in the secrets of the chambers of Greece? Escape the flaming ire, in that chamber, between life and death. ‘Twas indeed not for blind submission you were MADE. Thus dare you not deny man was to freely choose his own fate. Hier, not Higher, and not Heironymous Bosch, just to confirm the old pith– i before e except after c! Not that it matters to anyone except the Hieronymi of the world! Happy Christmas.